Joe's Auto welcomes you to the website for our auto repair shop in Stow Ohio. Joe's Auto is a well known and respected auto repair facility that has been serving the Stow and the Summit County since 1947 and is known for our honesty and professional automotive repair services that our staff and technicians provide to our customers. 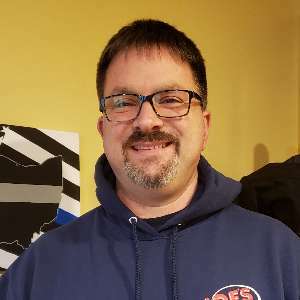 Each team member and technician in our Stow auto repair shop takes pride in the excellent reputation we have established with both our customers and the entire Stow and Summit County area. Joe's Auto is grateful that our customers repeatedly choose us for their automotive service needs and regularly send their friends and family to our Stow auto repair shop for their needs as well. Each expert technician on our team understands that the very thought of getting an vehicle repaired can make most people uneasy. For those who are not savvy about auto repair or are uncertain whether or not the correct repairs are being performed on your automobile our Stow auto repair shop is the perfect place for you because of the following reasons. Joe's Auto promises that we will not remove any part from a vehicle in order to complete a repair unless it is absolutely necessary. Joe's Auto also promises to diagnose all auto repair problems in an honest and professional manner. 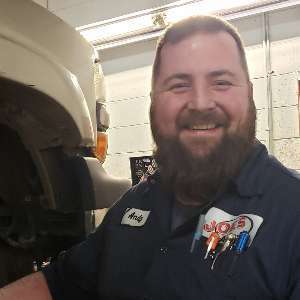 Each technician and staff member in our shop strives to provide prompt and courteous service to all who visit our auto repair facility in the hope that you will come back to us for all of your auto repair needs. Joe's Auto invites you to take advantage of our easy 24/7 online scheduling! Simply complete and submit the appointment form to schedule your repair. Joe's Auto offers our customers in the Stow area nationwide protection. Our warranties are among the best in the automotive repair industry. Joe's Auto is always interested in hearing from qualified individuals seeking employment at our Stow automotive repair shop. If you are interested in joining the Joe's Auto team we want to hear from you. Joe's Auto is pleased to introduce our valued team of automotive repair & service specialists. Our staff is dedicated to ensuring our customers get only the best auto repair in Stow, at the right cost, and to their complete satisfaction. More about Caleb coming soon.